603 W Elm Street is located in Bishop California, in the west side of the Downtown area. This home is a few blocks from Main Street. This home has had a major price reduction and is priced to sell! Call for a private showing today! This charismatic 1940’s home is located on a corner lot on a quiet family friendly neighborhood. This home has 3 bedroom and 2.5 bathrooms, living room, formal dining area, and a family room. Hardwood flooring, coved ceilings, and picture windows add to the charm and a warm home feeling. 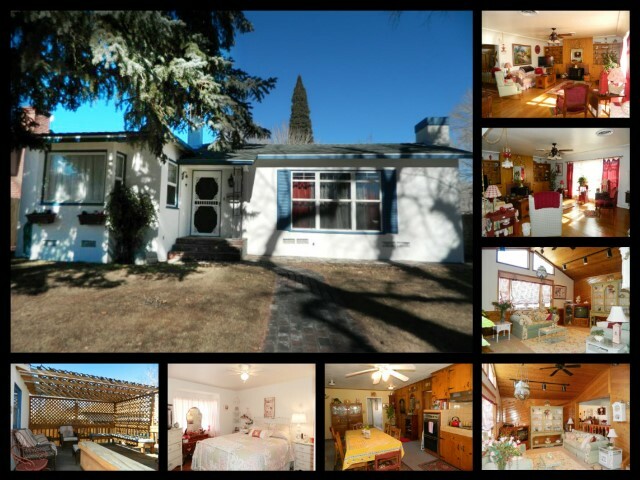 This home sits on 0.14 acres and has a low maintenance yard. Large covered patio with built in bench seating, with plenty of room for additional patio furniture. Mature trees in the front and back yard to offer shade during those hot summer months. A large 2 car detached garage sits on the back of the property. The Downtown Bishop area is considered to be within a mile East and West of Hwy 395. This neighborhood is convenient for shopping and is within walking distance to the local theater and restaurants. Families with children also find that the close proximity to the schools is a benefit.